Paul Jackson is known as a “Musician’s Musician”. As a founding member of the Headhunters under Herbie Hancock, Paul has shaped a sound that launched a new direction in contemporary music. The solid union between Hancock and Jackson has been especially evident in the many international tours they have made together. With uncountable projects to his credit, he is now touring with the Paul Jackson Trio riding the crest of a new CD release – autumn of 2014. 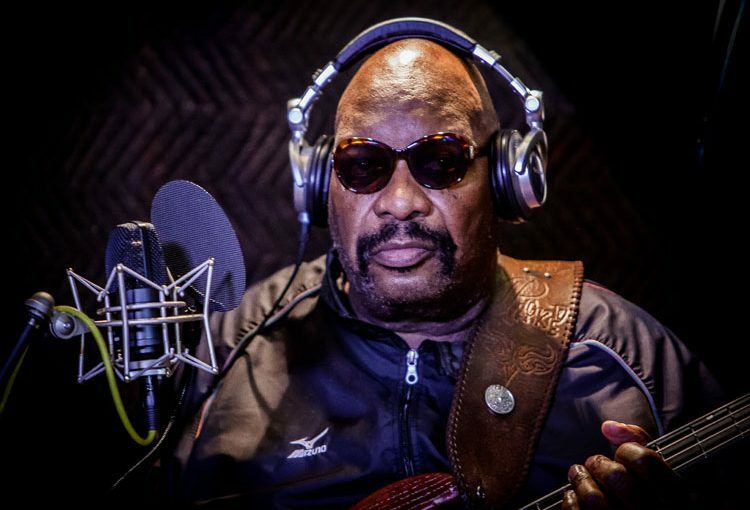 Born in Oakland, California in 1947, Paul Jackson began playing bass at the age of nine. Considered by many of his teachers to be a musical prodigy, he performed with the Oakland Symphony by the age of fourteen where he expanded his musical interests to include performance levels on bassoon and piano. His inspirations carried him into study with the San Francisco Conservatory of Music. The strong teaching foundation led him into teaching seminars for years with institutions such as A.N. Contemporary of Music (Tokyo), Pan School of Music (Tokyo), Musashino School of Music (Tokyo), Berkley School of Music (Boston), University of California Santa Cruz, and San Jose State University.Paul has been an adviser for Osaka School of Music since 2002. Paul Jackson is known as a “Musician’s Musician”. As a founding member of the Headhunters under Herbie Hancock, Paul has shaped a sound that launched a new direction in contemporary music. The solid union between Hancock and Jackson has been especially evident in the many international tours they have made together. In 1979, Paul embarked on a solo recording venture releasing his own album, “Black Octopus”, on Toshiba EMI Records. Jackson’s composing has not gone without recognition as well, beginning with Grammy Award Nominations in 1974, 1975 and 1976 for song-writing “Chameleon” “Hang Up Your Hang-ups” and “Spider”, respectively. Like other highly talented, creatively motivated engineers of music, Paul has expanded his career to other mediums such as playing on the sound track of Paramount’s “Death wish” and “Dirty Harry”. He was a music director for the touring company of “Don’t Bother, I can’t Cope”, spent a year and a half with the Radio Free Europe and has appeared with the Oakland Symphony as well as Herbie Hancock on Midnight Special (ABC-TV) . Time out to compose the score for film and other hefty projects was sandwiched in between appearing with the band’s numerous jazz festivals such as the De Hagg, Pori, Spain, Montreaux, Newport and Paris. All in all, Paul Jackson is a million mile flyer since his eighteenth birthday. Since 1985, Paul moved his residence to Japan and continued to be active in many aspects of the Japanese music scene. Live concerts with nation-famous artists such as Char, Tsutomu Yamashita, Sadao Watanabe have been performed in between composing/arranging music for TV commercial films and movies. In 1987, Paul started one of his life-long projects, Jazz for Kids, which is a voluntary concert performed at Japanese schools with an aim to introduce American black history through music and slide presentation. More than 80 schools across Japan has been visited by Paul and his band, which has been introduced on NHK, the only Japanese governmental TV station. The associated documentary was made by the ministry of Education in 1991. In the time when understanding of, and respect for fellow human beings are called for more and more, irrespective of differences in races and cultures, Paul is convinced that Jazz for Kids is needed more than ever. Even after moving to Japan and residing in Tokyo, Paul has spent time for live concerts in the United States and in Europe. In 1998, the long-awaited re-union of the Headhunters was materialized with a release of “The Return of the Headhunters”. The Headhunters with Herbie Hancock made a successful tour through the U.S.A. and Europe in summer and autumn of that year. Since autumn of 2001, Paul moved from Tokyo to the western part of Japan and continues to be active in the music scene in Japan, the U.S.A. and Europe. The Blue Note tour across Japan with Mike Clark and Jack Walrath from the U.S.A. and Char in March, 2002 had a great success, re-confirming to Paul’s fans and music critics of his enormous talent as producer, as well as bassist and vocalist. In conjunction with the release of long-awaited next album by the Headhunters, Evolution Revolution from Basin Street Records, New Orleans, U.S.A. in April, 2003, the Headhunters’ tour across the United States took place in August, 2003 with huge success. 1989: Awarded the “Key of Osaka City” for contribution to the City. 1990: Awarded the “Key of Fukuoka City” for contribution to the City. 1990: Received formal invitation from the Emperors Palace to hear Court Music. 1991: Played at “South East Asia International Music Festival Vol.1” In Singapore and Malaysia with various musicians from Asian countries. 1993: Nominated as a singer to sing the America’s national anthem for the NFL American Bowl played in the Big Egg, Tokyo. Copyright © BLOG Office Sound Pot All Rights Reserved.